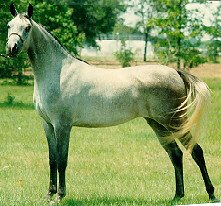 We have quality Florida Arabians for sale and at stud and also have horse boarding. Visitors are welcome by appointment, please call or e-mail Lil Sayre. We have Arabian Champions, Reserve Champions, and blue ribbon winners. Our Arabians perform in halter, working hunter, hunter pleasure. We also have winners in dressage, reining and trail. Our Arabian horses are people oriented & are athletic with good minds. We insist on true Arabian type and excellent disposition along with soundness and athletic ability in all our horses. FULL FLORIDA HORSE BOARDING ALSO AVAILABLE. STALLS WITH PRIVATE, SHADED PASTURES. EXCELLENT SECURITY. RIDE TO NEARBY EQUESTRIAN PARK.